My work is largely abstract and tends to have a visceral, textural quality. 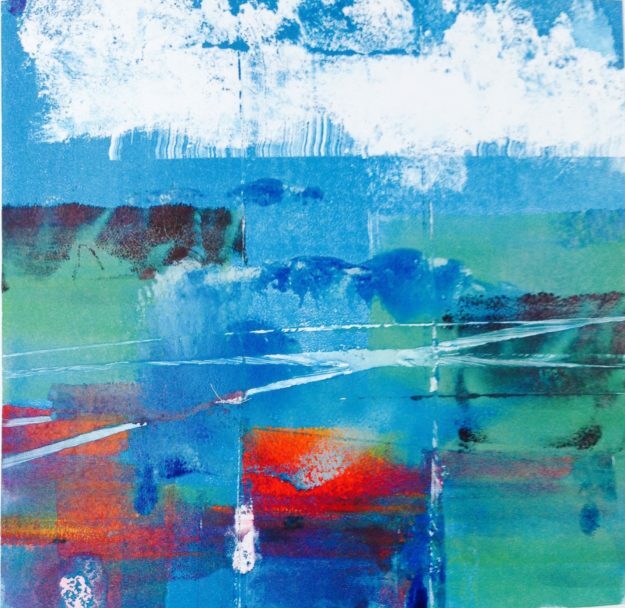 I often used themes and narratives as a starting point particularly in my acrylic and watercolour paintings. My printmaking practice tends to focus on etching and collographs inspired by landscape although recently I have been exploring urban landscape using Solar Plate etching with some good results. I like to experiment with new techniques and recently was asked to contribute to a German exhibition in aid of refugees entitled Palimpsest. I used paper lamination to produce two 130cm long pieces of work on thin, white voile. I love working outdoors and escape to the wilds of Northumberland when I can. Recently I have been working on a series of watercolours painted directly in the landscape. 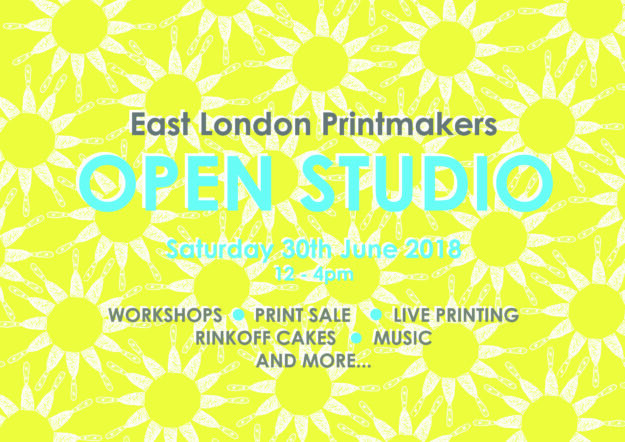 Join East London Printmakers for their Summer Open Studio on the 30th June 2018 from midday to 4pm. There will be a range of activities and print demonstrations/workshops going on throughout the day. All of which you are more than welcome to participate in or simply watch. We will also have our popular £10 proof print sale. A great place to pick up some new prints for your walls or maybe a friend! We will also have our annual box set edition on display and sale. Perfect if you’re looking to add to your collection of limited edition prints. 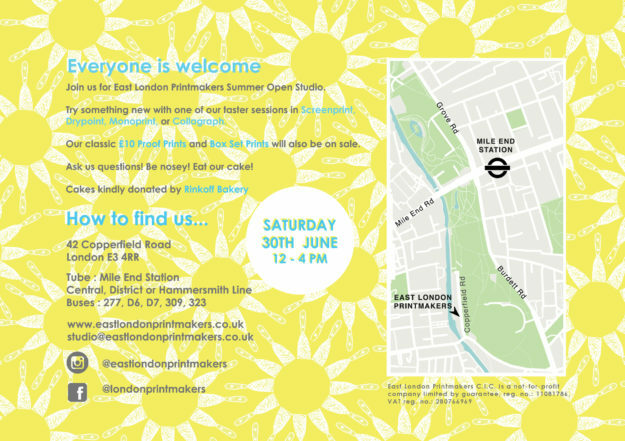 Our Open Studio is a great place to simply come and meet our artists, view the studio and ask as many questions as you like about how you can become more involved with our studio or just printmaking in general. 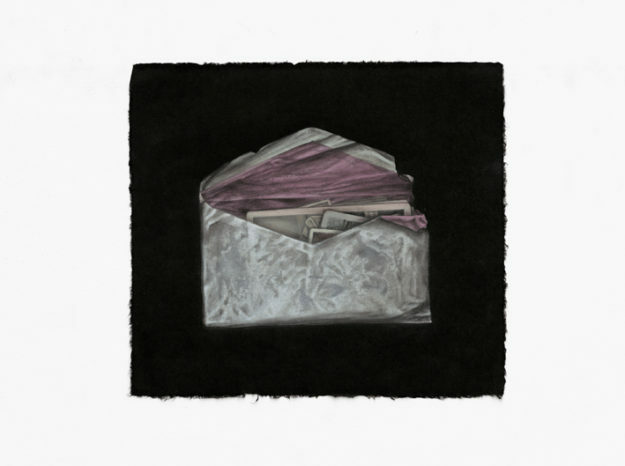 Clare Humphries is a Melbourne-based artist who works with printmaking, drawing and text. 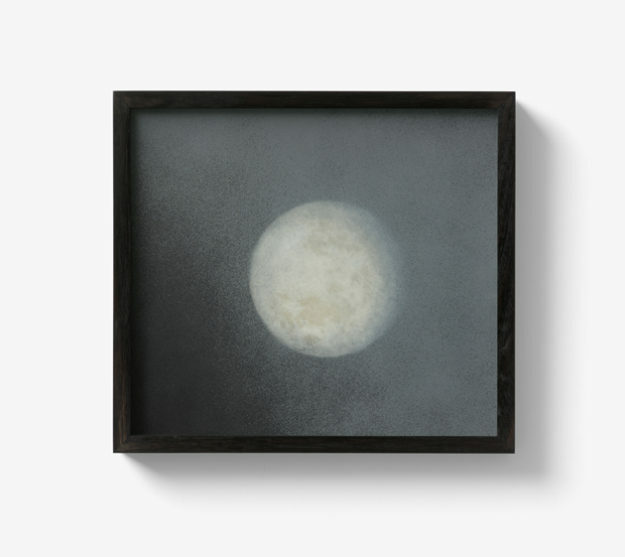 Her practice explores the notion of aura, often referencing experiences of loss, rituals of bereavement and perceptions of distance to propose a liminal space. Clare holds a Bachelor of Arts (Fine Art) and practice-based PhD from RMIT University. 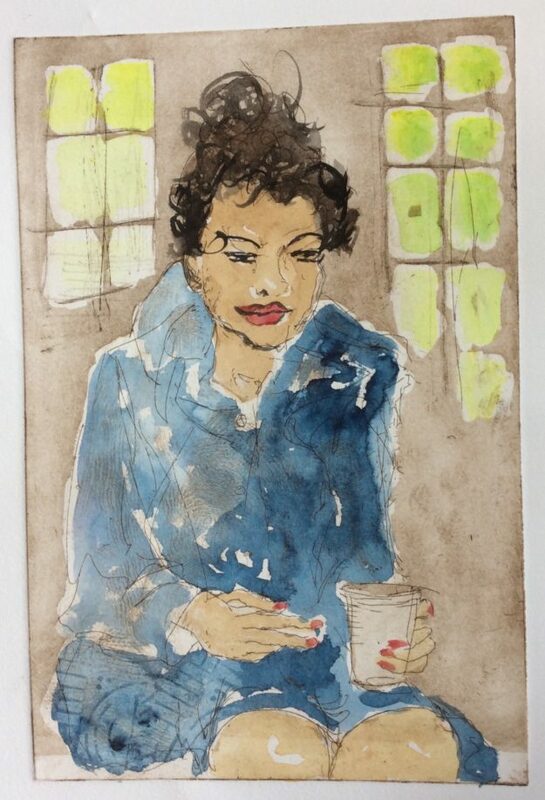 Her work is represented in many public collections including the National Gallery of Australia, the State Library of Victoria, Mornington Peninsula Regional Gallery, Geelong Gallery, Grafton Regional Art Gallery, the Print Council of Australia and the Cities of Banyule, Maroondah and Whitehorse. She has received numerous awards and commissions including the Ursula Hoff Institute Award at the 2017 Geelong Acquisitive Print Awards, the 2017 John Denton Print Award, the 2014 Silk Cut Award for Linocut Prints, an acquisition prize at the 2010 Fremantle Print Award and an Australian Print Workshop Collie Print Trust Scholarship in 2007. 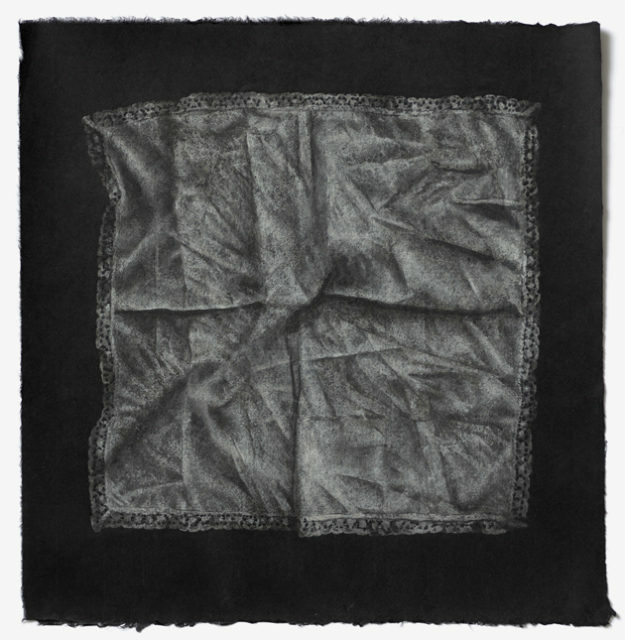 Clare is a lecturer in Drawing and Printmaking at the Victorian College the Arts (The University of Melbourne) and sits on the committee of the Print Council of Australia.